This Homemade Strawberry Milk is a million times better than the powdered stuff but almost as easy to make. Rich and creamy, with the best sweet and barely tart strawberry flavor, you’re going to love it. 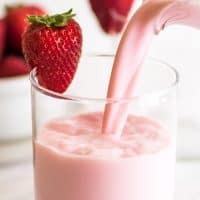 A couple weeks ago, I shared my Strawberry Milk for One or Two for everyone looking for a way to use up those early summer strawberries, and I promised that I’d share a larger recipe for everyone who went really crazy with the strawberry buying. Let’s make a big batch of strawberry milk syrup and tons of Homemade Strawberry Milk. And if you’ve never made strawberry milk at home, you are in for such a treat. It’s a million times better than the powdered stuff, rich and creamy, with the best sweet and barely tart strawberry flavor. I love it. And this is coming from someone who thought she hated strawberry milk growing up. 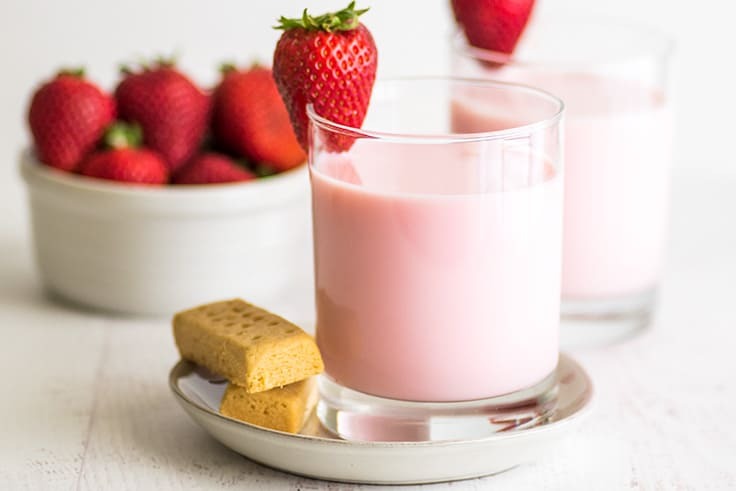 If you were a kid raised on the powdered stuff like I was, you might be surprised at just how easy it is to make strawberry milk at home. 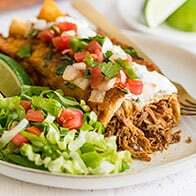 You just need four ingredients, 15 minutes, a pot, and an optional fine-mesh strainer. 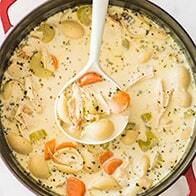 Start by combining all your ingredients in a medium pot. Bring to a low boil and cook for 10 minutes. Drain liquid and discard (or eat) cooked strawberries. Stir a few tablespoons of the syrup into cold milk. And that’s it. Tell me you wouldn’t have been making this *daily* during strawberry season as a kid. 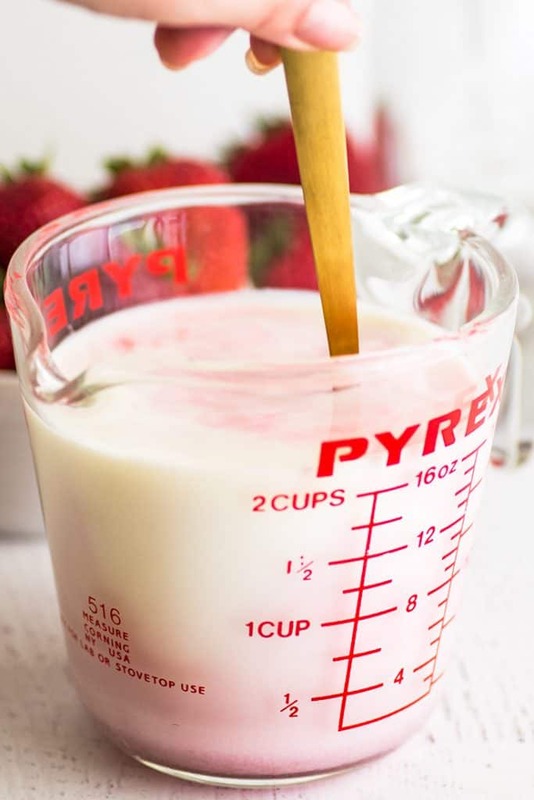 This recipe will make a little more than 2 cups of strawberry syrup, enough for about 12 to 15 cups of strawberry milk. The strawberry milk syrup will keep in the fridge for at least a week or two. 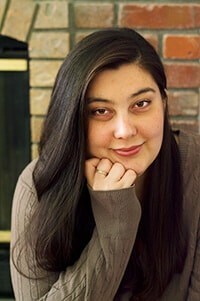 You can store it in a mason jar or any other airtight container. You can find jars like the one I used on Amazon (you’ll need 2 to fit all the syrup). This recipe calls for a fine mesh strainer to strain out seeds and strawberry pieces from the strawberry syrup. 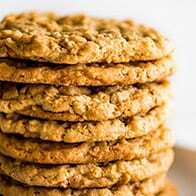 If you don’t own one, they are cheap on Amazon and can be found in the baking aisle at most grocery stores, or you can simply use a slotted spoon to remove strawberries. You’ll just have some seeds and pulp at the bottom of your glass, which doesn’t hurt anything. You can make your strawberry milk with whatever milk you have in the fridge, but whole milk makes the richest, tastiest drink. If you have heavy cream or half and half on hand, you can also add a splash of that to the mix for a richer end product (highly recommended). This bottle of syrup went to my mom, and she also really enjoyed mixing it with La Croix to make homemade sodas. 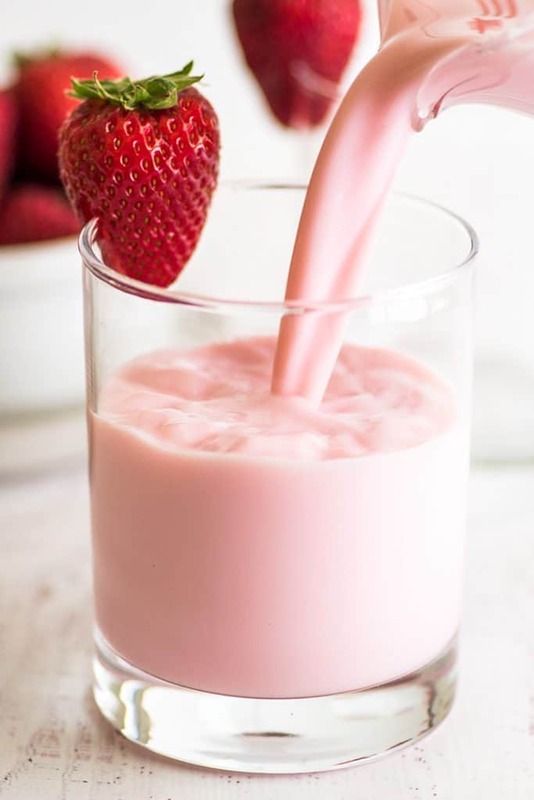 This Homemade Strawberry Milk is a million times better than the powdered stuff but almost as easy to make. Rich and creamy, with the best sweet and barely tart strawberry flavor, you're going to love it. In a medium pot, combine strawberries, sugar, and water. Bring to a low boil. Keep at a low boil for 10 minutes, stirring occasionally, until reduced and strawberries are fragrant. 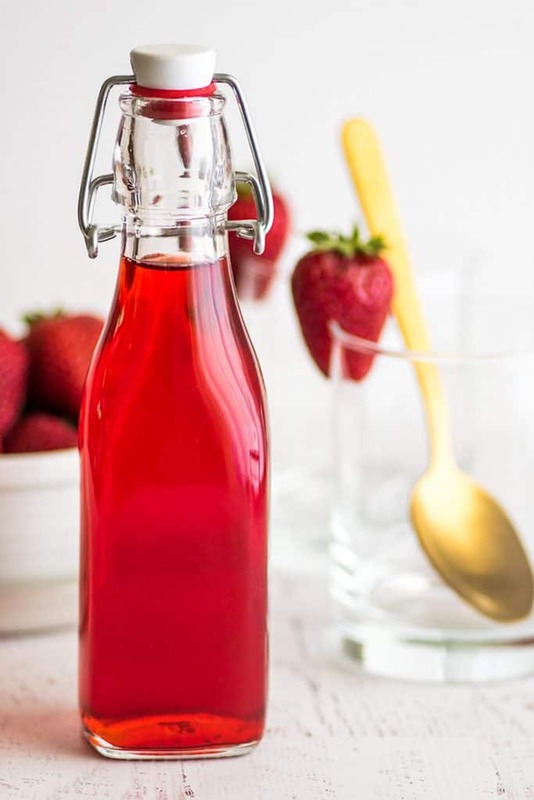 Strain syrup from strawberries and discard the strawberries. Store syrup in an airtight container in the fridge. Mix 3 to 4 tablespoons of syrup per 1 cup of milk. 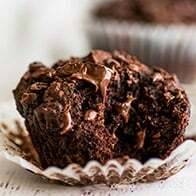 Add more to taste. If desired, stir in a drop or two of red food coloring. Serve and enjoy!